How do you weave a film, I hear you ask? As a part of her experimental foray into video tape, Debbie wove this test piece. 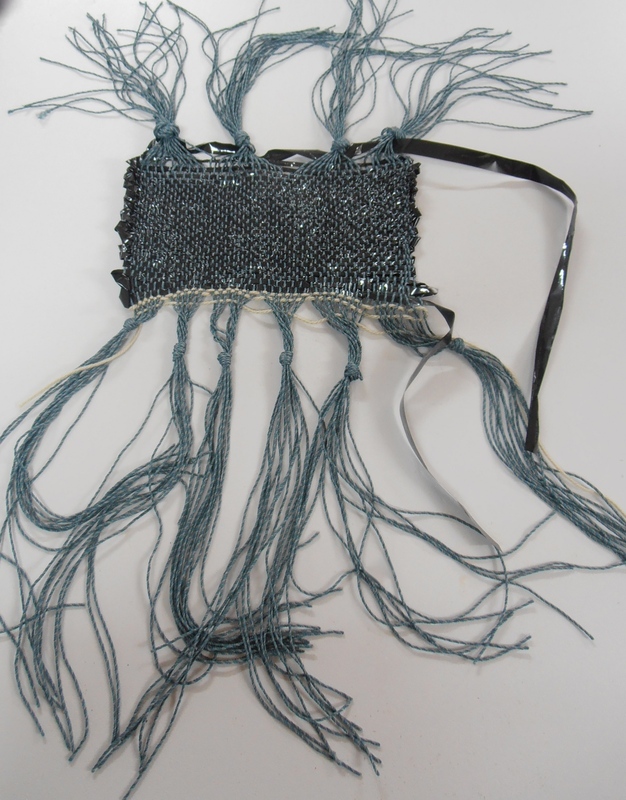 She used commercial yarn for the warp, and then the video tape was used for the weft. The result is a lovely smooth and shiny cloth that feels wonderful to touch. I think it would make great place mats and they would be easy to wipe clean. Now that’s creative.